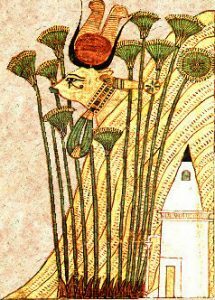 This month’s Kemetic Devotional Ritual will be on Saturday, February 3, at 6 pm, and will be dedicated to Het-Her, also known as Hathor, Goddess of Love, Pleasure, and Beauty – among other things, including the sacred sky-cow. Last month, our devotional honored the Heliopolitan Ennead, the group of Netjeru that includes Auset (Isis) and Ausar (Osiris), as well as their siblings Seth and Nebt-Het (Nephthys), their parents, Geb and Nut, their grandparents Shu and Tefnut, and their great-grandparent, Atum. The Ennead, which literally means “group of nine” is one of the best known groups of deities in the Egyptian pantheon, and is one of the most concerned with human life and how humans exist in the world. Many other groups of Netjeru are much more concerned with the mechanisms of the natural world and creation in a general sense. 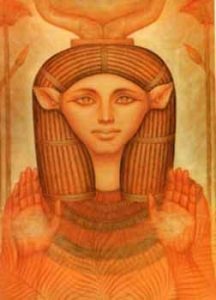 The child of Auset and Ausar is Heru, who contends with Set to create a more lasting world order. During most of Egyptian history, the living pharaoh was identified with Heru, the ruler of the present, while the previous pharaoh became identified with the deceased Ausar. The consort of Heru is Het-Her, and with their child Ihy, who is sometimes also known as Min or Amsu, they make up what we know as the Dendera Triad. As a note, the Kemetic gods are manifold by nature. One could say that Ihy, Min, and Amsu are all manifestations or aspects of one divine being or that each is a divine being unto himself, and neither statement would be wrong. The Heliopolitan Ennead gives the blessings of what we need to live and teaches us how to successfully exist as humans. The Dendera Triad, however, takes it a step further. They teach us how to be GOOD AT being human. Heru gives the blessings of continuous learning and growth, in the ability to meet challenges, and in the drive towards mastery of skills. Het-Her gives the blessings of love, pleasure, and enjoyment in life, beyond mere survival. 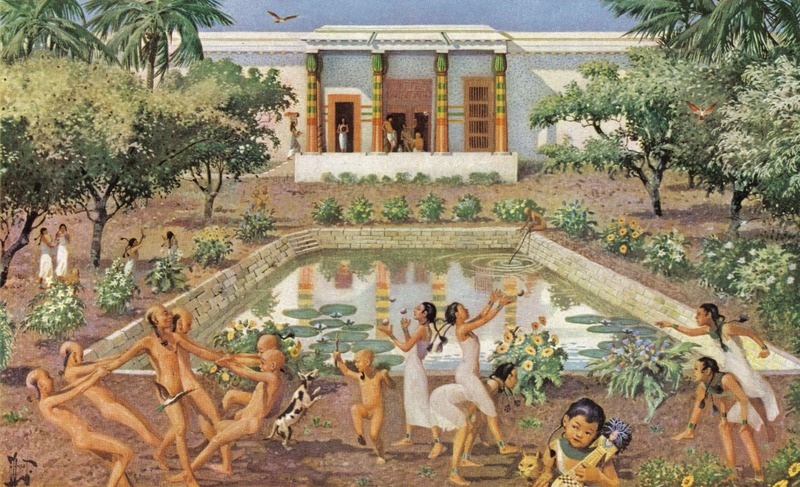 Their child (and keep in mind that in this cosmology, the third member of a triad was more the combination of the divine essence of the two other deities as opposed to an entity that was born and had a childhood) is the straight-up personification of fertility and the expansion of the human species – which is evident in the way he is typically portrayed as a naked male with an erect phallus. No debates about symbolism there. 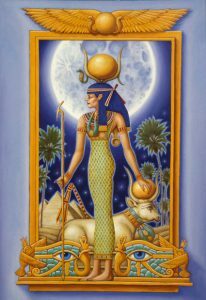 Het-her is also a Goddess of Fertility and a protector of mothers and their children, and that is a big part of the role she plays in human life as well. In our ritual, however, we are focusing on her aspect as a giver of the good things in life – some which can admittedly lead to fertility, but that’s not the only reason they exist. This is somewhat seasonally appropriate, because here in the western world, we are currently getting inundated with hearts and flowers and reminders that Valentine’s Day is on the horizon, poised to be celebrated or reviled, depending on who you talk to. Our culture places romantic love on a pedestal, and the idea that other forms of love are just as important is only just getting a little social traction. More and more you are hearing people say that Valentine’s Day and the celebration of love in general is about ALL forms of love, but usually this comes to us without context or details. For one, “all forms of love” is vague enough to encompass everything in general and nothing in particular, and for two, the prevailing narrative is still about romantic love – or candy. 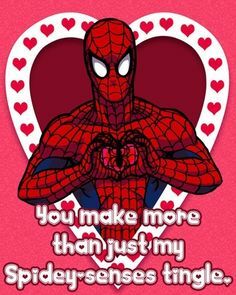 Let’s be honest, coming up to Valentine’s Day, 90% of what you hear will be either about romantic love, rejecting romantic love with an anti-Valentine’s Day celebration, eating candy by yourself because you don’t care about romantic love, or buying two dozen Spider-man valentine’s cards for your kid’s third grade class. Okay, maybe this one isn’t for 9-year-olds…. Now, Het-Her blesses romantic love, to be sure. But she also invites humans to pursue whatever makes them happy. Not just love, but relaxation, fun things to do, good food, music, dancing, nice clothes, pretty jewelry, perfect makeup, cute kittens, and everything else that makes a person happy in life. So, while not denying the prevailing tendency to celebrate romantic love – and it is a blessing to be celebrated, don’t get me wrong – in this ritual, we are shifting the focus slightly to what specifically makes YOUR life joyous. Including, but most emphatically not limited to, your romantic relationships. In this week’s ritual, we will be creating a spell, modelled on traditional Egyptian magickal techniques, to invite more of the things that make us happy into our lives. We’re not talking about what we NEED, at least for now, we are talking about what we WANT. Pursuing what we want and what makes us feel good is a great way to honor the Goddess of Joy and Beauty. The spell will remain on the altar for the next eight months, until the heliacal rising of the Pleiades in October. The Pleaides are a collection of seven stars that were honored in antiquity as manifestations of the seven forms of Het-Her, also known as the Seven Hathors. The rising of Pleiades marks the beginning of Het-Her’s traditional sacred season. At that time, we will revisit and release the spell, give thanks to Het-Her for the blessings that have manifested in our lives since it was created. If you have a small hand-mirror, please bring it along! The ritual will include a brief meditation with music. There is no dress code, though white is a traditional for Kemetic rituals.